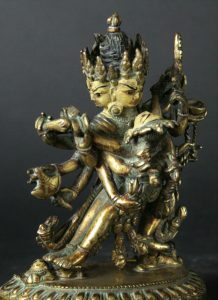 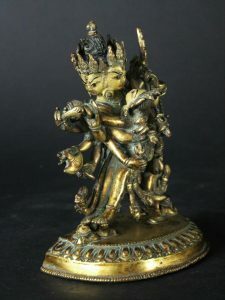 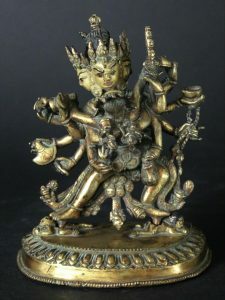 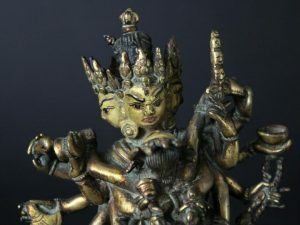 Vajradhara with consort in YabYum. 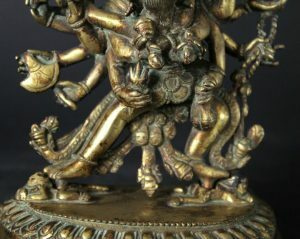 Very attractive statue. 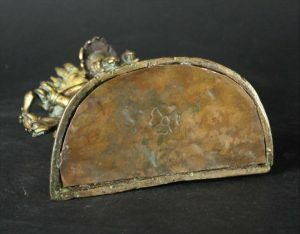 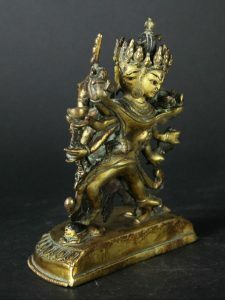 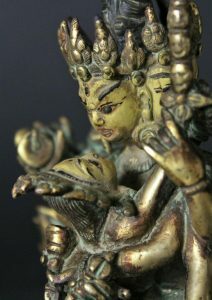 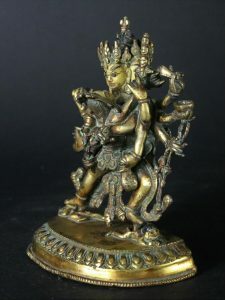 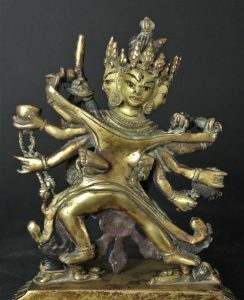 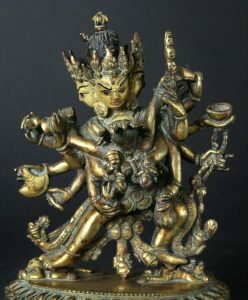 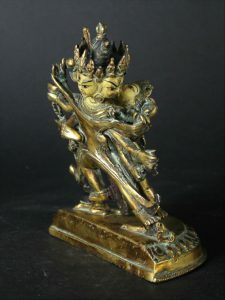 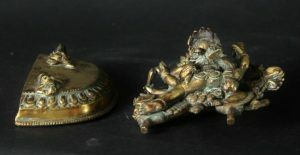 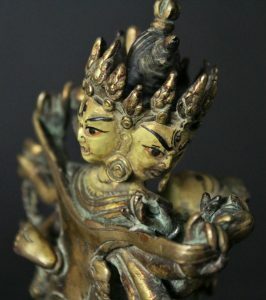 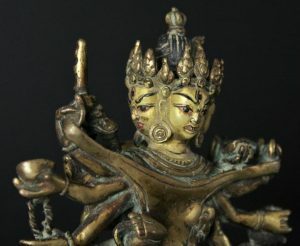 Fire gilded goldface Nepal half 20th century with a beautifull old patina and very detailed.